Early in my career I decided that someday I wanted the opportunity to photograph a birth. I didn’t know how, when, or whom, but it was on the bucket list. In the spring of last year, the opportunity presented itself: one of the loveliest humans I’ve ever met contacted me and asked if I would be interested. YES! Yes, of course I was interested. 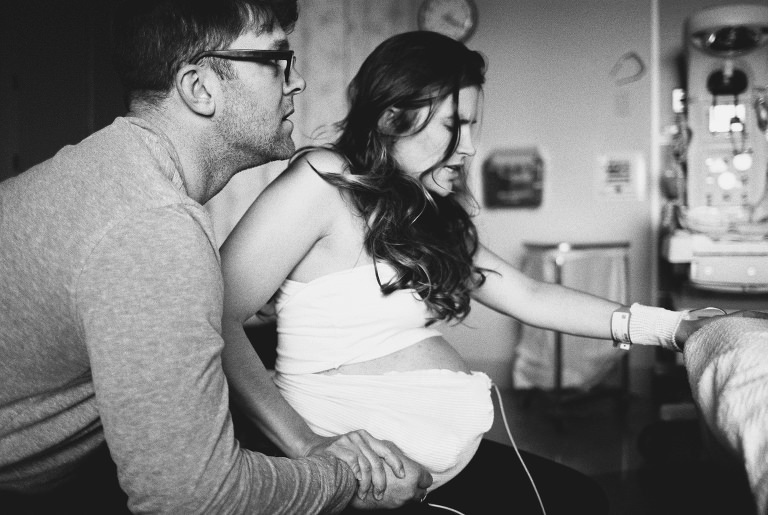 Birth photography is not for the light of heart. It requires a lot of patience and trust and comfortability between the expecting parents and the photographer. Also, it is a huge commitment that is 99.9% unpredictable in most cases. It’s kind of like signing up for an organized running event only not knowing whether you’re in for the 5K or the marathon until it’s over. Lexia, the mother was AMAZING. 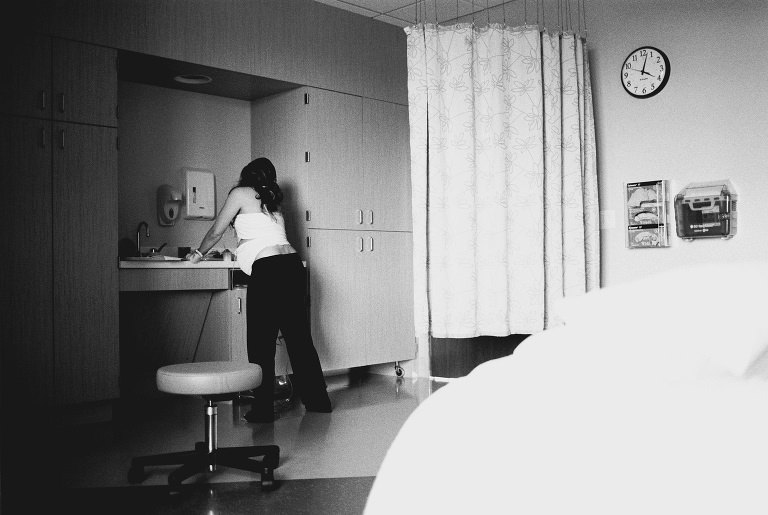 She had developed a pregnancy complication that required an induced labor, territory she was unfamiliar with. It was a raw, difficult, brutal at times, yet an utterly beautiful experience; one of the largest honors of my life thus far. I photographed from 3pm to 6am the next day (with a several hour break in there), capturing Lexia’s strength, her struggle, and the love that she and her husband share, all while working to bring their little girl into the world together. Teamwork at it’s finest, enrobed with the essence of the miraculous. Birth is indeed a great miracle. Below is a sample. All of these images were photographed with black & white Ilford Delta 3200 and Kodak T-Max 400 photographic films using a Contax 645 & Canon 35mm cameras and ambient light only. Marla Cyree of Simply Splendid specializes in film photography based in Portland, Oregon as a newborn, portrait, and wedding photographer.